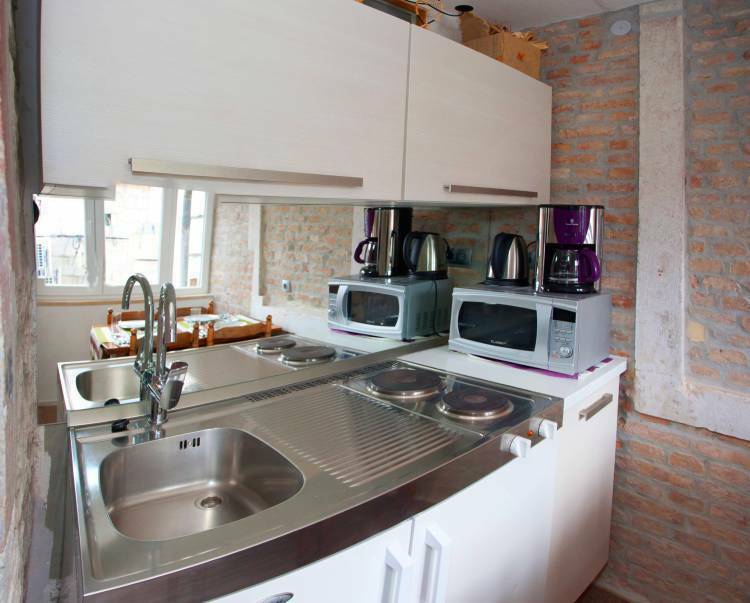 Veli Varos Apartments and Rooms are situated in pedestrian area, 200 meters walking to Diocletian Pallace and Riva promenade. Next door is popular cafe and restaurant Le monde. All units comes with LCD TV, aircon, bathroom with shower, city view, free bike re+ntals, free private parking. 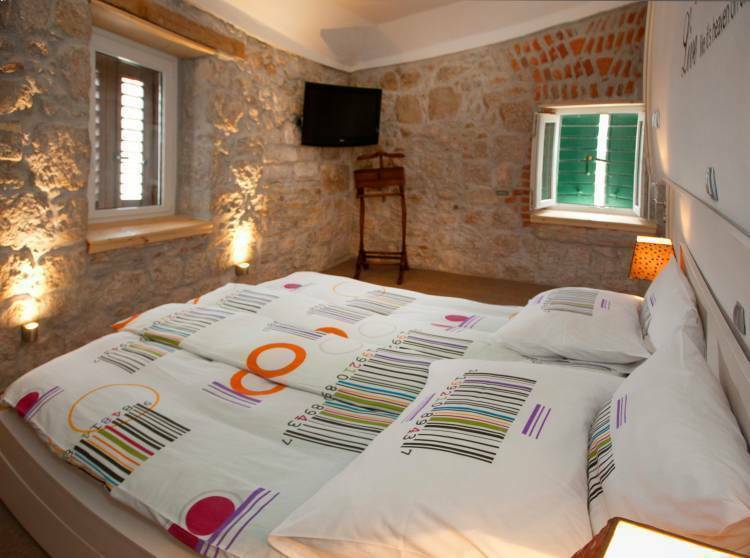 Veli varos is idempedent old stone house with private entrance. 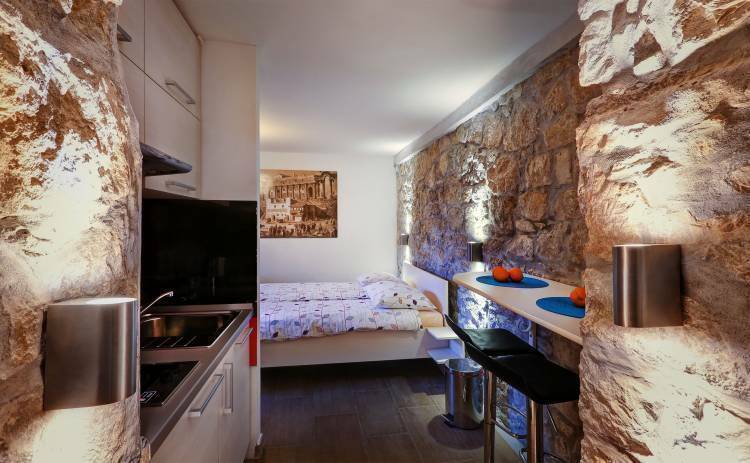 Studio apartment 2+1 person with private entrance direct from the street is modern equipped and decorated. It comes with free bikes and free private parkingg, WI FI. 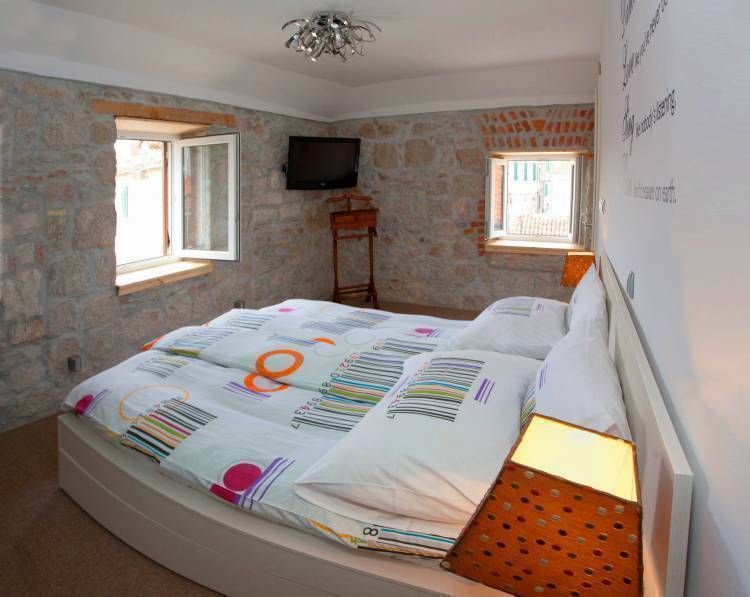 Studio has king size bed and sofa bed which outstrecked into the bed, fully equipped kitchen, bathroom with shower. Next door is cafe Le monde. We are located in the old town in the middle of old stone houses, chucches, museums, galleries, theatres, fish and green markets, autentical restaurants and wine bars. Cancellation pollicy is 14 days. We are charging full amount if cancellation is made within 14 days. We are on the central location in Split center, 100 meters from fish market, 200 meters from the riva promenade and Diocletian pallace.